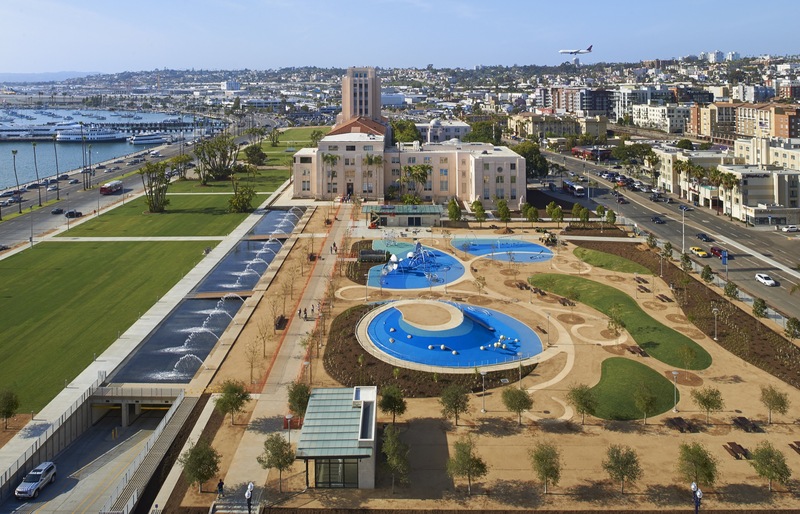 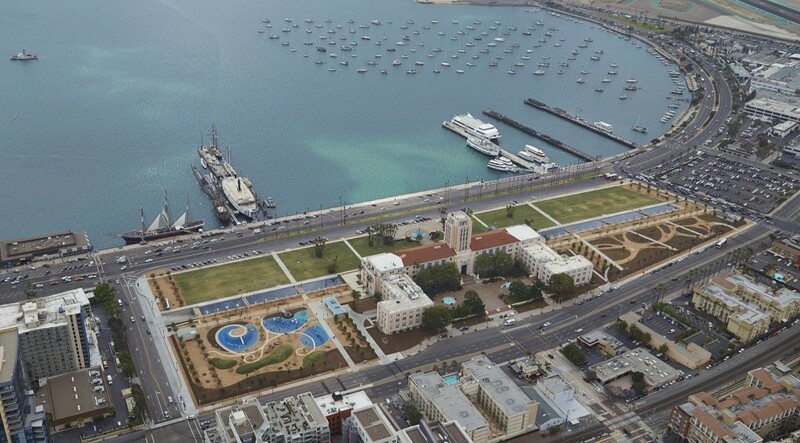 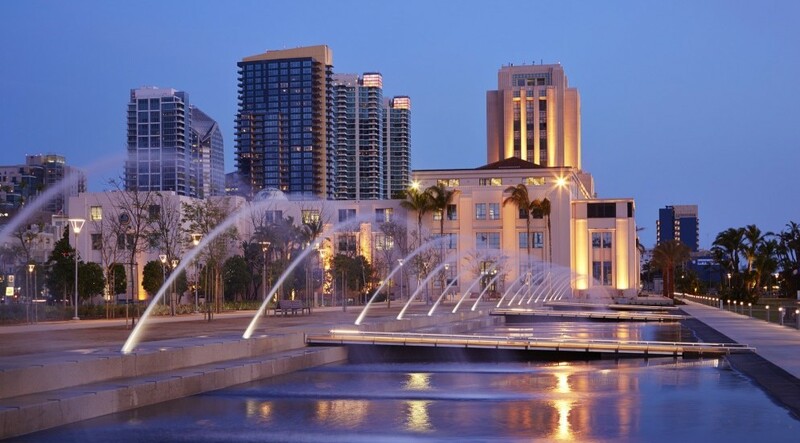 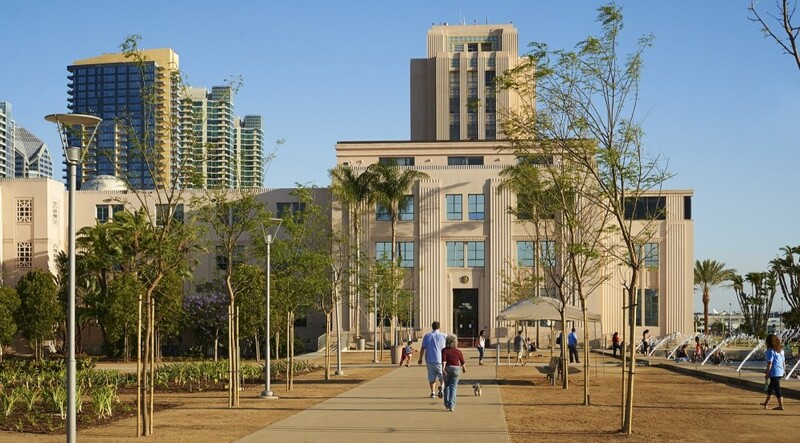 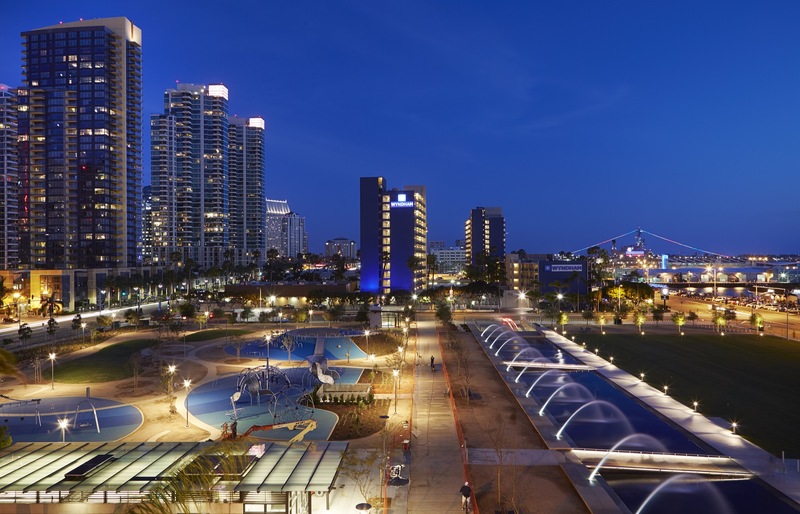 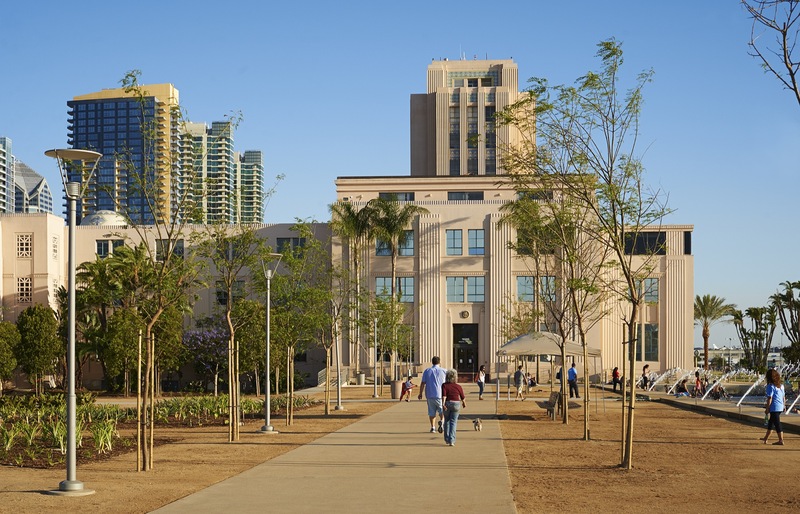 The Waterfront Park is a $49 million redevelopment and transformation of an eight acre parking lot at historic County Administration Center into a large bayfront park. 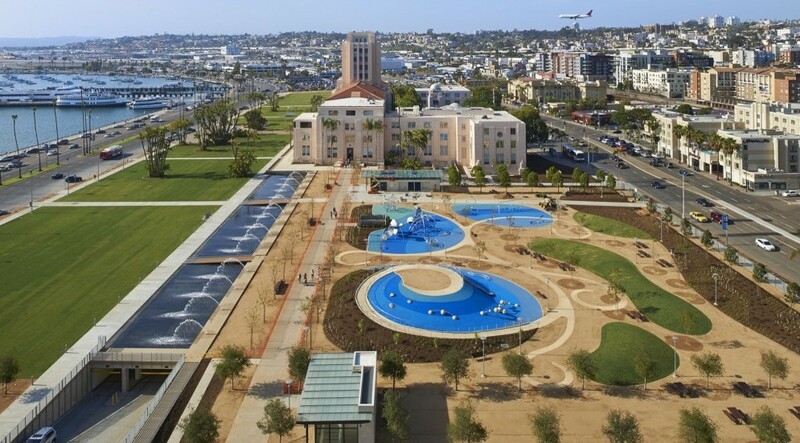 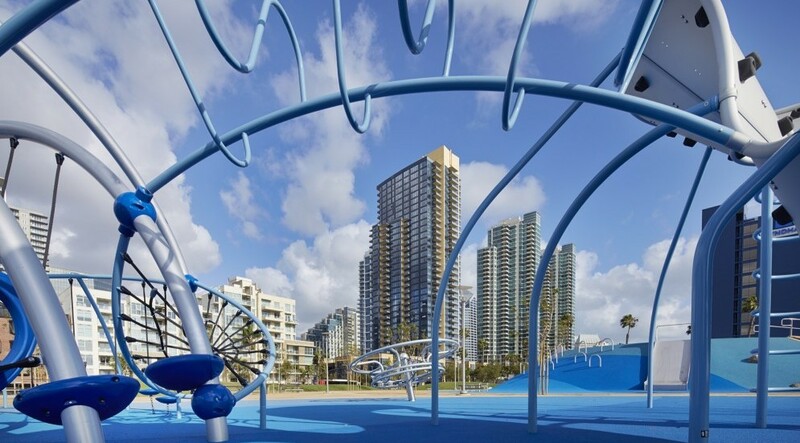 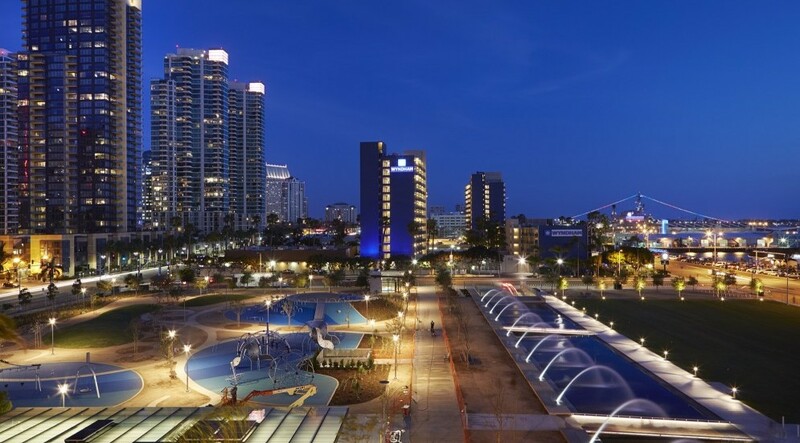 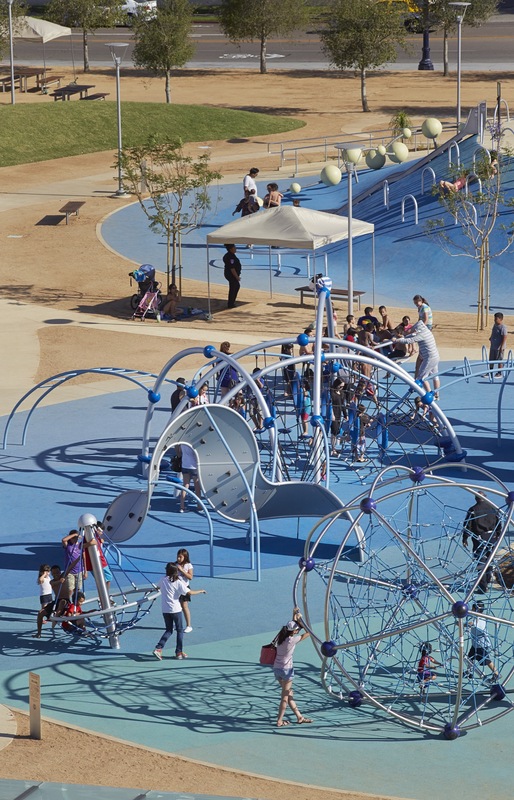 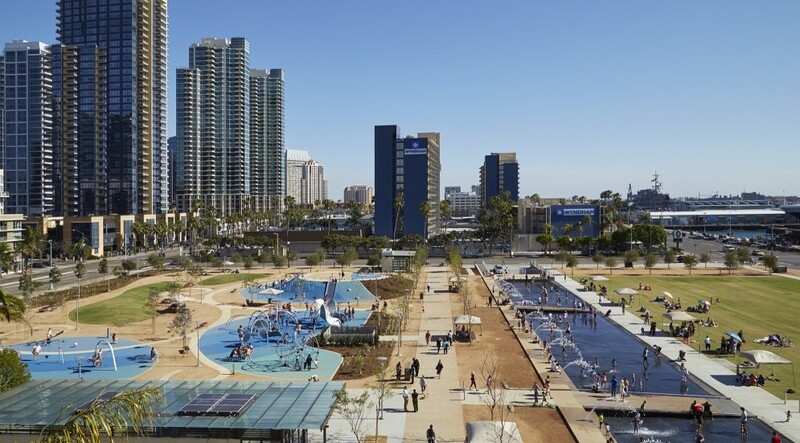 The project consists of an underground parking structure and numerous infrastructure and utility improvements, including civic greens, plaza and terraces, promenades, themed gardens, a children’s play area, and an interactive water fountain equipped with jets; serving as a splashing area for children. 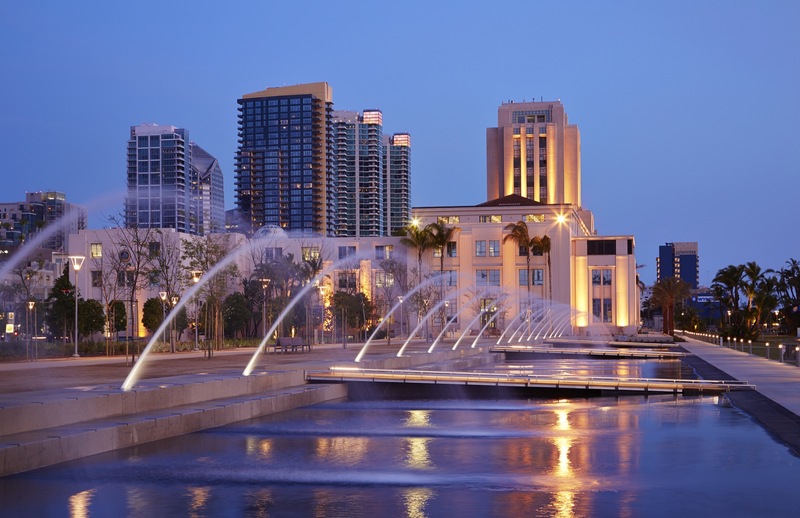 Landscape Architect: Schmidt Design Group, Inc.